Ok, this can be marked as a lazy post. This past week has been pretty busy and I feel so behind! Ooops. 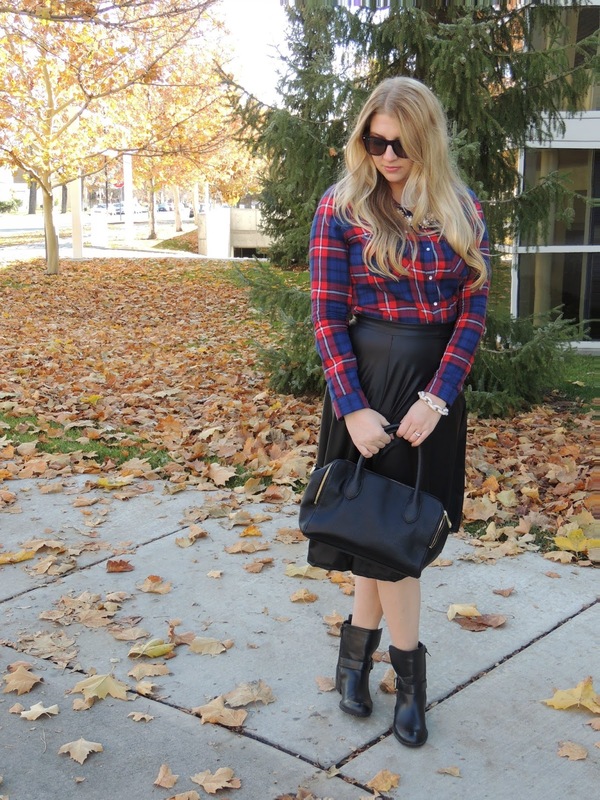 I want to do a throwback Thursday and share one of my favorite outfits that I posted from last Fall. 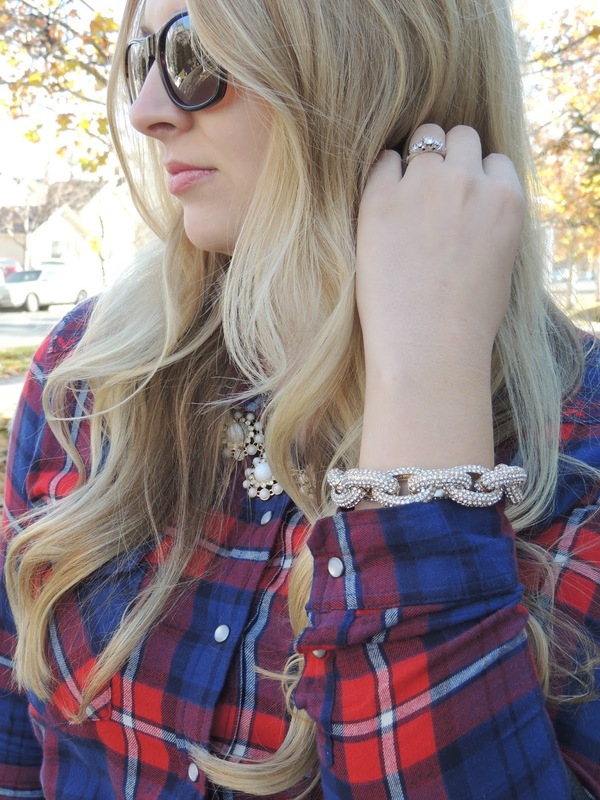 It's more of a dressy Fall outfit, but it's a favorite. I can't believe how long my hair is in these pictures! The leather skirt gives this a lot of edge and the jewelry gives it a girly touch. LOVE this look! 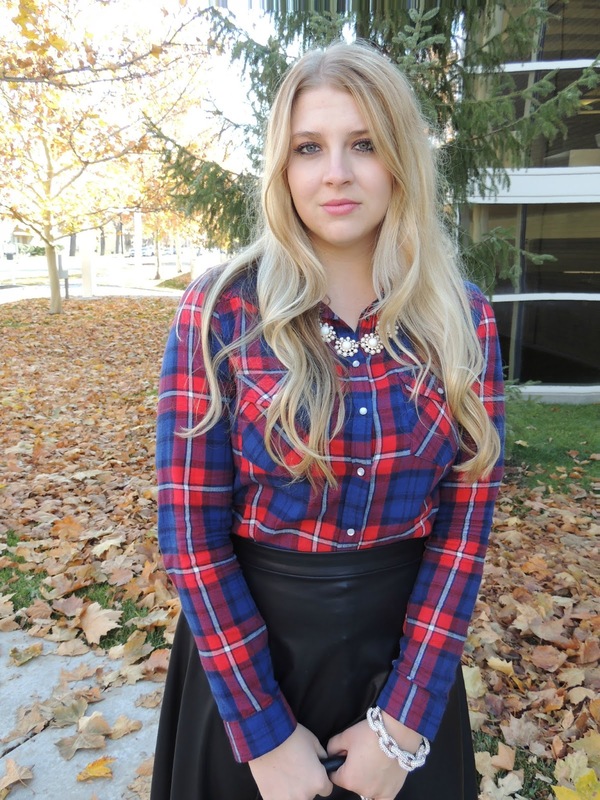 I need a plaid top for fall!